Are You Looking For King & Queen Landscaping Company Today? 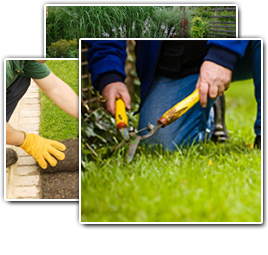 At SS Grading, we offer high-quality residential and commercial King & Queen landscaping services. We specialize in yard grading, tree removal, land clearing, excavating and hardscapes. Our residential and commercial clients enjoy top-notch, reliable service at reasonable pricing. Delivering superior service is part of our work ethic with all of projects. We strive to offer a quality service at an affordable rate. We've been doing that for 10 years throughout King & Queen. SS Grading offers excavation services throughout the King & Queen area. We specialize in residential excavation and commercial excavation projects. We provide quality work at reasonable pricing. We perform excavating services, including foundations and basement excavation and draining excavation. We have operated in King & Queen for more than 10 years. SS Grading is an expert excavation contractor with a reputation for honesty, reliability, and exceptional work. We have conducted excavation work for many of King & Queen's finest custom home builders and residential clients. Improving the appearance of one's King & Queen home is one of the aspirations of many homeowners who do not have plans of relocating or transferring to a new house in the future. There are individuals who prefer to improve the interior appearance of their homes first, but there are also others who prioritize to beautify the outside portion by adding a garden with a pond or by installing retaining walls to create a dramatic effect to the overall appearance of the property. Retaining walls in King & Queen have an aesthetic and functional use but its primary purpose is to prevent the soil located in an elevated portion of your property from sliding downwards especially if the soil had been recently disturbed. These walls will also prevent erosion of the soil. You definitely need to install this type of wall if you live in an elevated area. But then, you can install it to improve the landscape of your property even if there is no elevation. Retaining walls can be installed at the entrance of your property to serve as your fence or at the back portion which will serve as your garden or a place where you and your family can relax and host a barbeque party with your family and friends during the summer. If you're looking for a professional King & Queen landscaper, then please call us today at 804-464-8456 or complete our online request form.